THE AIM of the conference is to bring together scientific, academic and industrial communities involved in research and development related to nuclear instrumentation and measurement methods. THE PROGRAM emphasizes the latest developments in all measurement stages: radiation detection, in-pile measurements, modeling, electronics, signal acquisition and analysis, interpretation and associated training/education activities. ANIMMA offers an outstanding opportunity to address complex problems and fi nd advanced and innovative solutions in nuclear instrumentation and measurement sciences and technologies. 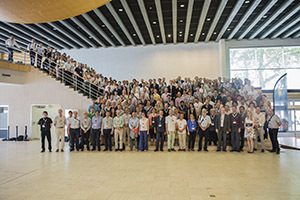 The ANIMMA Conference has always strived to create a special meeting place shared by all those working in nuclear instrumentation and its applications, as we strongly believe that cross-border exchanges between scientists, engineers and industrialists can only lead to the most developed ideas, the best solutions and the most efficient collaborations and partnerships. ANIMMA continues to maintain a high level of scientific and technical quality by presenting not only the latest advances but also the state of the art in each field through the participation of international specialists and experts. It is an ideal meeting for scientists and engineers in the field of nuclear measurement, instrumentation in severe/harsh media, radiation instrumentation, software engineering, data acquisition analysis and treatment, and related applications to present their work and network with their colleagues from around the world. ANIMMA 2017 was a real success thanks to your contributions and to your participation and also thanks to ANIMMA committees; partners and sponsors. More than 220 presentations and posters have been presented and discussed in addition to a permanent exhibition from industry and research institutes. Short-courses and workshop initiatives were also successful. Finally I would like to warmly thank all attendees for having made this scientific event a great success. I am looking forward to welcoming you to the next ANIMMA in 2019 at Portorož (Slovenia). The concept of the ANIMMA biennial conference series is to bring together scientists and engineers working in many fields dealing with nuclear instrumentation and measurements, such as nuclear reactor technology, fuel cycle, radioactive waste management, instrumentation & measurement in harsh media, but also fusion technology, fundamental physics, homeland security, medical applications and education. After the successful 2011 edition organized in the city of Ghent by SCK•CEN, it was again an honour and a pleasure for SCK•CEN to host ANIMMA2017, this time in the French speaking part of Belgium, in the Centre de Congrès in Liège. The beautiful location of the conference centre at the banks of the river Meuse, combined with a great scientific programme attracted more than 250 participants and created the ideal atmosphere for discussion, cross-fertilization and collaboration. 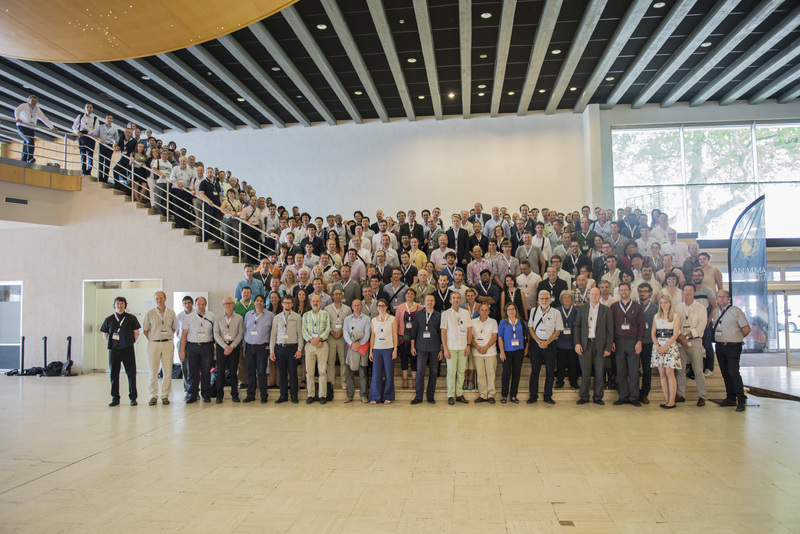 The diverse ANIMMA2017 programme, together with the Workshops, Short-Courses and the industrial exhibitions contributed to reinforce the links between the scientific community and industry. Besides paper presentations in the conventional oral form (a few keynote talks in plenary sessions, the majority in three parallel sessions), quite some papers were presented in poster form, the latter complemented by a “mini-oral” presentation, where poster authors could briefly outline their main message. After the session, the audience moved over to the poster area for in-depth discussions. In this way, the conference organizers made sure the posters received the attention they deserve. We also tried to create the right conditions to facilitate exchanges in a relaxed setting, after the formal scientific presentations. On Monday evening arriving participants were invited to the conference Welcome party. On Tuesday and Wednesday, the poster sessions were accompanied with some Belgian beers and snacks. The conference Gala Dinner on Thursday gave a taste of the fine Belgian food while being submerged under the enchanting music of the Belgian brass quartet Quatre-Brass. We look forward to welcoming the community to the sixth edition of the ANIMMA conference, which will be held from June 17-21, 2019 at the very attractive Hotel Bernardin in Portoroz (Slovenia).